These days the number of electronics a family owns has increased to amazing numbers. If you don’t keep things organized you can drive yourself crazy with cords, chargers, and devices. Finding a way to organize my family’s electronics has become priority number one for me! Between the six of us, I don’t even want to tell you how many phones, tablets, laptops, and portable gaming systems we have! Someone is always looking for a missing charger or device. It’s time to organize! If your family is anything like mine, you’re probably tripping over cords and looking for lost games too. 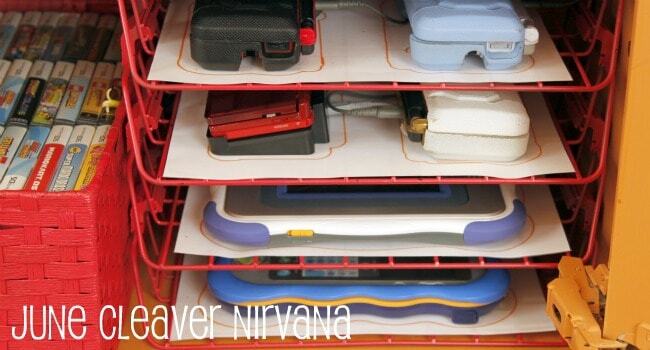 Here are some great ideas for keeping the electronics neat and easily accessible. Holly from Kids Activities stashed 2 paper organizers in a cabinet to organize her family’s electronics. She also added baskets in the cabinet to store games and chargers. This is a genius upcycle from The Kim Six Fix! 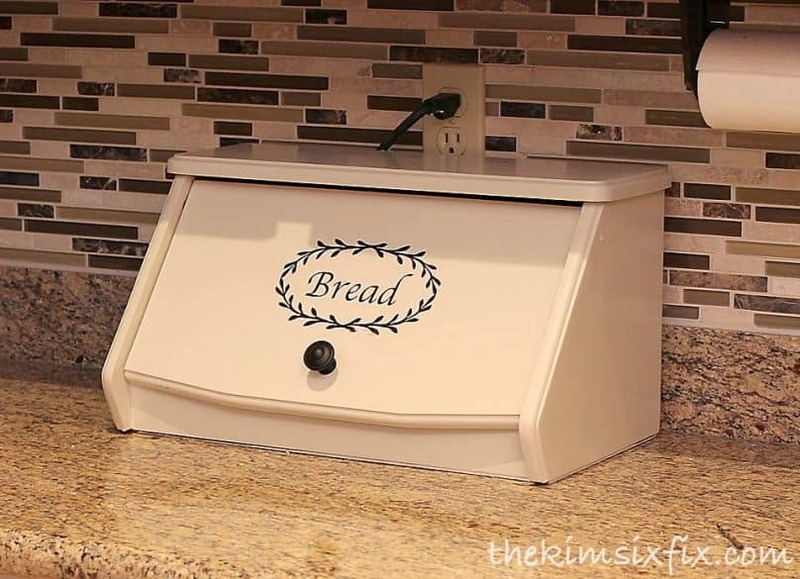 She took an old bread box, added a few holes for cords, painted it and voila: hidden phone storage. 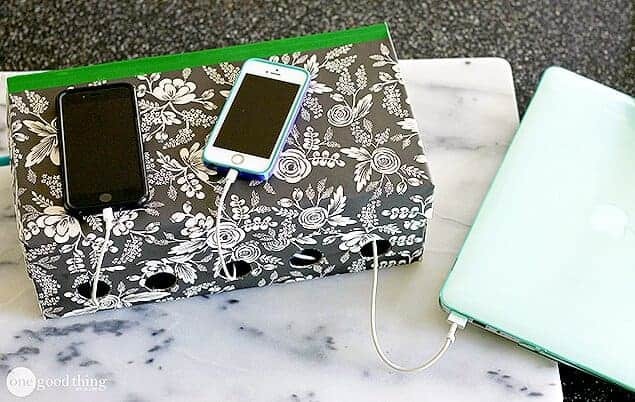 Jillee at One Good Thing made this charging station using a shoe box, some pretty paper, and a power strip. This hides all the cords and chargers and keeps all the family electronics in the same area. 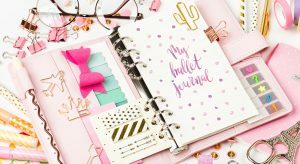 Plus, it’s an easy do-it-yourself project that doesn’t require any special skills. Anyone can do it! 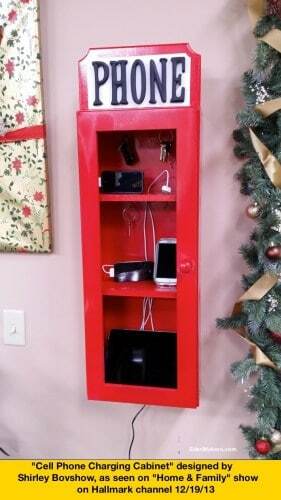 Shirley Bovshow of Eden Makers Blog took an old cabinet and turned it into a phone booth where family and friends can stow away and charge their electronics. She gives detailed instructions in her post about how to turn an old bathroom cabinet into a super cool phone cabinet. 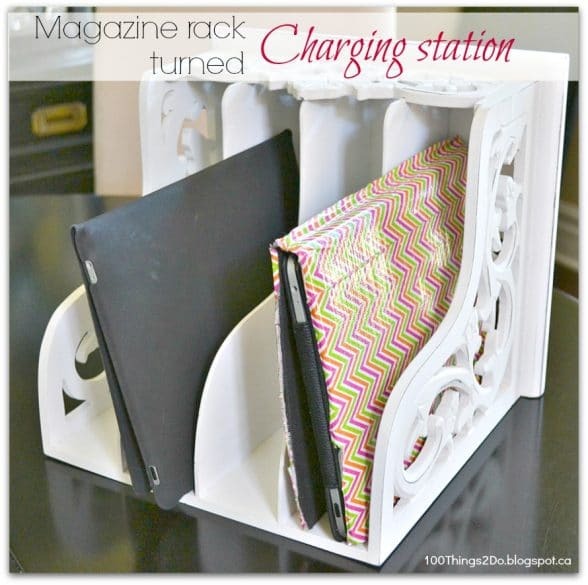 Shelly from 100 Things To Do gives a quick tutorial on how to turn a pretty magazine rack into a stylish electronics holder. Simply drill some holes in the bottom of the piece for cords then lay flat. Tablets fit perfectly and look great. April at Love Our Real Life had a genius idea of turning an old dresser into an electronics charging cabinet. This cabinet looks great and keeps the electronics hidden and organized. It’s a great solution for large families and those with lots of phones, tablets, and other devices! 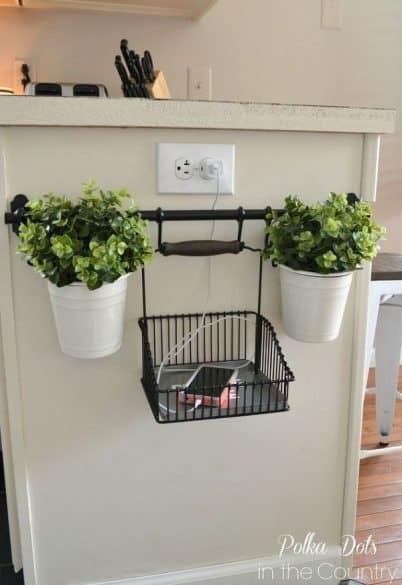 A simple basket near a power source may be the simplest solution for keeping all your electronics in one place. There are so many options, but I especially love this basket hanging from a towel bar. It keeps the devices up off the floor and off the counters. Before choosing one of these options for your family’s charging station, take some time to determine how much space you’ll need to store your family’s electronics, your budget, and your comfort level with do-it-yourself projects. 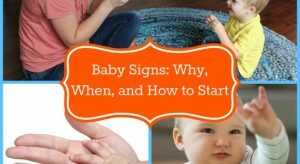 Then choose one of these, or get creative and come up with your own solution that’s perfect for your home and your family’s needs.